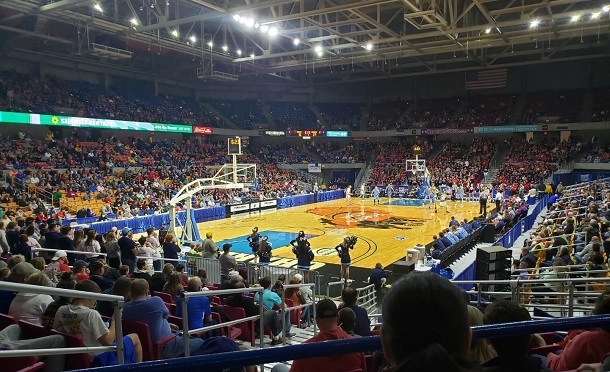 Not every year, but for the better part of the last 35 years I’ve spent a day or four in Charleston at the boys’ state basketball tournament. Usually, I’m in a work setting and in the few years where I wasn’t a media member I still often headed south for the trip. There were always things you could count on when making the visit. Good times, good basketball and a chance to see some good friends. Some of those friends you may only see that one week each year. I was reminded of that this past weekend in Charleston when I saw a person I rarely see except at the tournament and was reminded that I would no longer see the person I always saw him with. As I talked along press row with Clarksburg native Tim Brady, I captured a glimpse of Bridgeport High School graduate Matt Kerns in the aisle along with his youngest son. I quickly motioned to both of them, had a few words, and then I realized I needed to get Matt’s phone number because of what had just hit me. Matt, who has long since departed the Mountain State and now calls Georgia home, was one of those regulars I usually saw once in year in Charleston. And when I saw Matt, I saw his father Bill Kerns. As most of you know, Bridgeport High School educator and Coach Bill Kerns passed away in August of last year. When I saw Matt, I was reminded of the fact that for many years the one place I would find my old friend and coach was in Charleston at the boys’ tournament – usually with Matt at his side and, if not, a plethora of names and faces from the state’s hierarchy of basketball legends. Bill Kerns’ love of basketball didn’t end in 1993 when he coached his son and the Indians to the school’s first state title. It didn’t end when Matt stopped playing college ball and ended up stepping away from coaching himself after a stint at Marshall University. Nope, Bill Kerns had a lifelong love affair with the game. If you didn’t believe it, Charleston could prove it for you. “I’m thinking, and I’m not certain about the math, that this would have been his 57th year down here. I know it was well past 50 years that he came either as a spectator or as a coach,” said Matt. Matt Kerns remembers every single tournament he spent with his father. 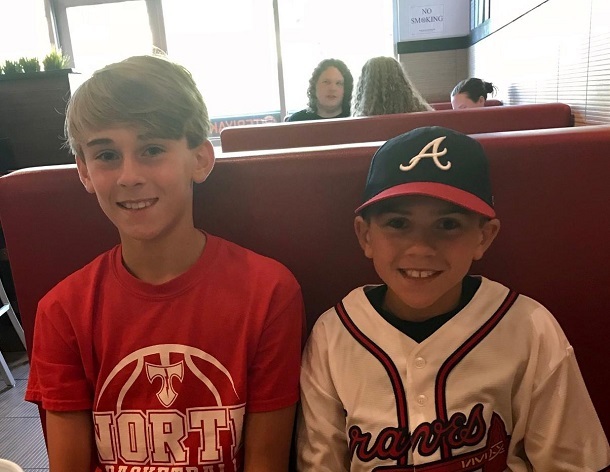 Whether it was watching him coach, being a ball boy, being coached, or sitting with him year after year, the memories came flooding into Matt’s mind during our conversation this past week. Nothing was more incredible than Bill Kerns coaching the Indians to the title in 1993 as the team won three straight games to bring back a basketball crown to the football school. “I think that season provided a lot of closure for years of want for both of us. Charleston was a goal, but for the team I was on to get there three straight years and get the title with your dad after all the years of sitting there and watching him so many more times … that last game combined every single moment of the history of my life at that time,” Matt said. “He made it special because I got to experience it with him. It didn’t. In fact, from 1993 forward, Bill Kerns was always in Charleston. If he wasn’t in the Civic Center, you could catch him in the lobby at the Marriott holding court with legends that would culminate with a group meeting up Saturday morning for the title game breakfast. Names such as Bucky Frame, Corky Griffith, Willie Akers, Warren Baker, Bob Hummel, Robbie Robinson, Don Nuckols and others were regulars. It happened every year and for Bill Kerns, a man who oozed tradition, the constant at the tournament was welcome. The only thing that varies a bit in the first few years after leaving the coaching ranks was Matt not being by his side. “I remember the first year I missed was when I was playing college ball (for California, Pa.) and we were in the Division-II Final Four in Louisville and I missed the tournament,” he said. 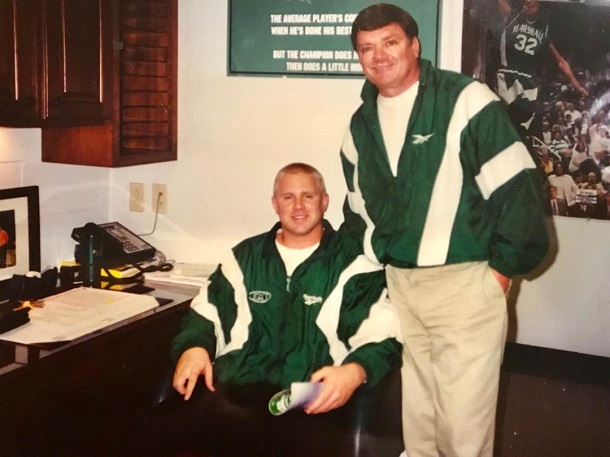 “Then, when I coached at Marshall it was really hard to get away because you might be in your own tournament, you might have responsibilities or something else to deal with. As for actually not seeing at least one game every year with his father, it was rare. In fact, since he was seven Matt said it happened two or three times at the most. As for missed time after 2000 when Matt got out of coaching on the career side of things, the misses ended. From 2000 until last year, Matt and Bill Kerns were practically at every single game at every single boys’ state basketball tournament. And it was the same routine that Matt missed so much this year. Matt’s sons are 13-year-old Dutch (a seventh grader) and 10-year-old Ty (a fifth grader). Dutch actually got three years in at the state tournament with his grandfather. Ty would have been in year two as part of the Kerns’ state tournament experience. The good news is that Dutch and Ty should have plenty of more years with Matt. 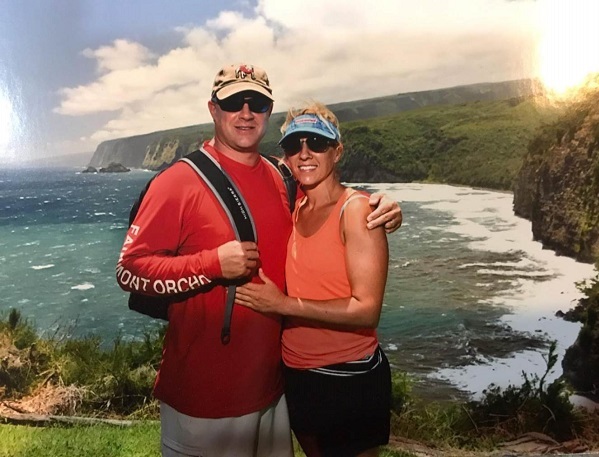 Despite living in Georgia, in his 19th year working for Takeda Pharmaceuticals, volunteering as a basketball coach at the middle and high school levels and being a husband (wife Natalie a former Marshall athlete and commentator for ESPN’s SEC Network calling Georgia softball games), Matt plans on coming back for the foreseeable future. And he certainly enjoyed 2019, even if it was a little bittersweet. “It was fun, but it was sad because you’d go past the concession stand where my kids always were hitting him up for money for Dipping Dots or you’d see a section you sat in and had great conversations about games. There were times my mind was drifting,” said Matt. “The thoughts, though, are from a good place. This is a such a wonderful place and I got a chance to watch (RCB) Coach (and former BHS assistant Bill) Bennett’s team compete. I know dad would have wanted that for sure and I was able to talk to Coach Bennett before and after the games. That means bringing Dutch and Ty back to the Mountain State each year. “This is a big deal. Look at what this place meant for Webster County; the whole town was here, and I want my boys to see what it means like my dad wanted me to see,” said Kerns. “I think they’re getting a feel about what dad meant beyond being a grandfather. They saw that from the administration at Bridgeport when they honored him earlier this year and Coach (Mike) Robey and everyone there including Dean Hartzell and Greg Goff. Indeed, you did Matt. I hope, as do others, to see you and the family in Charleston in 2020. 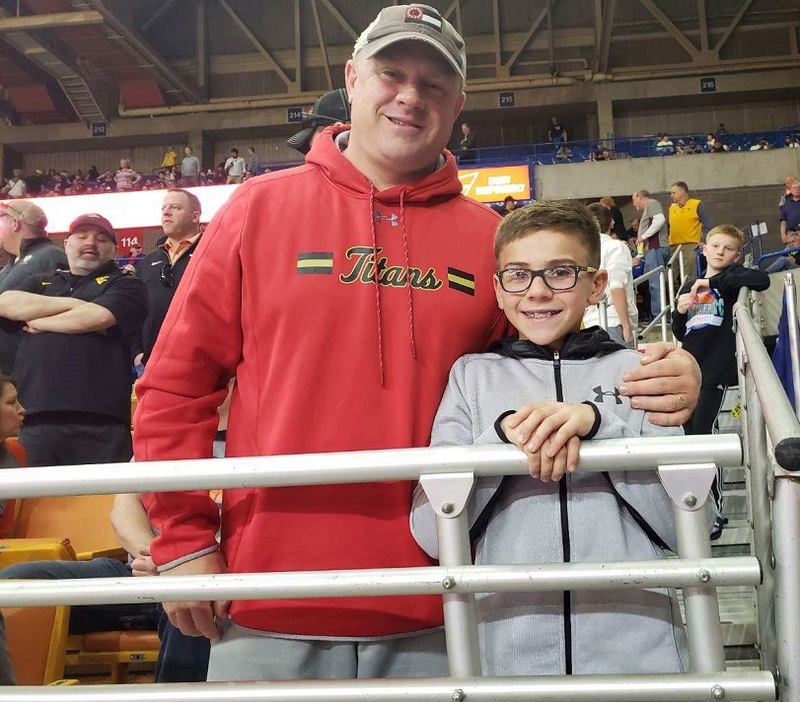 Editor's Note: Top photo shows Matt Kerns and his youngest son Ty at this year's tournament, while a flashback to Matt and his father Bill during Matt's coaching days at Marshall University. 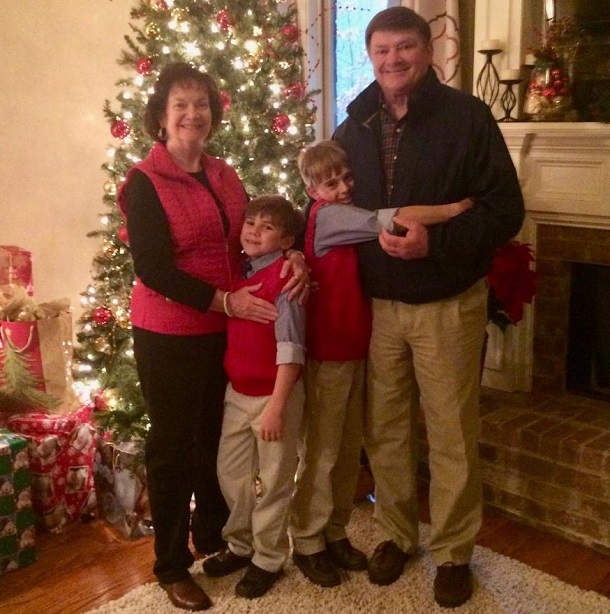 In the third photo, Sue and Bill Kerns are shown with Ty and Dutch (with Bill) during a recent Christmas. 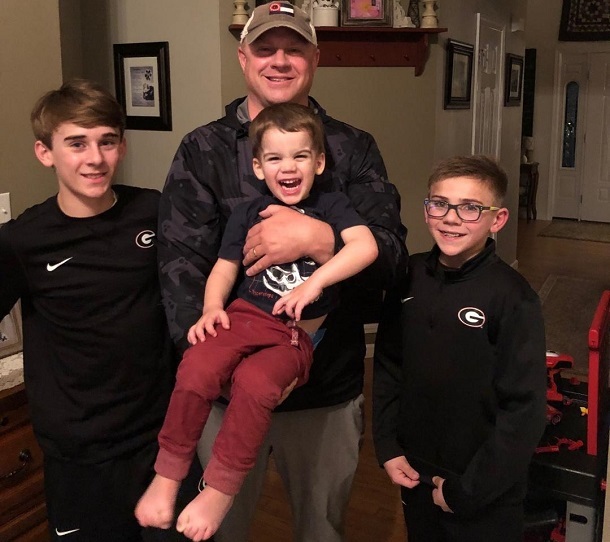 In the fourth picture, Matt is shown hold his cousin Braxton Mills in Hurricane prior to this year's tournament with Dutch and Ty by his side. Dutch, left, and Ty smile for a photo in the fifth picture, while Matt and his wife Natalie are shown in the next photo. The bottom picture is the view taken in many years by Matt and Bill Kerns at the state basketball tournament.